Last week Fr. 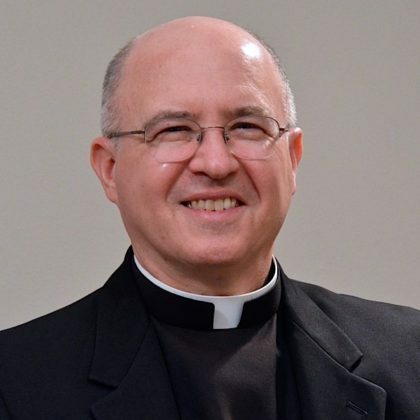 Stephen Huffstetter, SCJ, former provincial superior of the US Province, was named vicar general of the Priests of the Sacred Heart. Fr. Steve was originally elected to the General Council in 2015. During last year’s General Chapter, he was elected to a second term. He is 59, professed his first vows in 1982 and was ordained in 1989. Prior to his election as US provincial superior in 2013, Fr. Steve was executive director of St. Joseph’s Indian School in Chamberlain, SD. “We celebrated a Memorial Mass for the victims; it is estimated that 600 died within the diocese, but we know of hundreds of bodies that have been found in areas where rivers flooded for thousands of square kilometers. During this memorial we asked ourselves what the voice of the Lord wants to tell us in this Lenten journey; for these people it has taken on a dimension similar to the crossing the desert, like the people of Israel. “I presided over the celebration at the parish of the Sacred Heart of Jesus, the largest religious building in the diocese. It had collapsed with the fury of the wind. 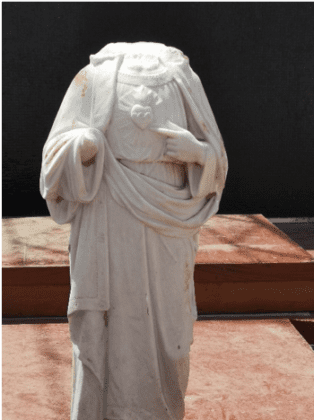 Next to the altar, the statue of the Sacred Heart stood, recovered from the rubble. A wounded statue, its head and right hand are broken. The left hand that indicates the pierced Heart has taken on greater prominence, reminding us that it is thanks to that wound that we are saved. Click here to view the full letter on the general website. 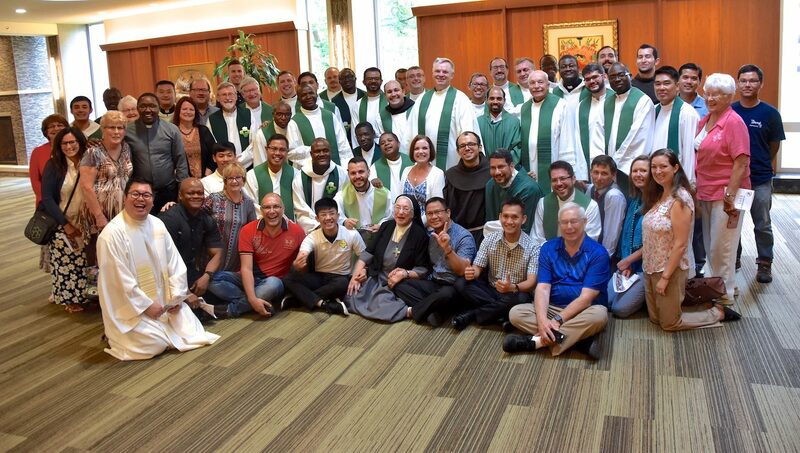 Last week the Provincial Council voted to approve SCJ Fraters Henry Nguyen and Paul Phong Hoang for the Ministry of Lector. Frater Huan Duy Pham, SCJ, received approval for the ministry from Fr. Francis Vu Tran, SCJ, in Vietnam. Congratulations! Br. Diego Diaz, SCJ, received his R1 (Religious Worker Visa). Originally from Argentina, he will be a member of the Mississippi community. If you would like to check previous issues of the Fridge Notes (weekly news) or previous feature stories on the US Province website, click here. As noted earlier this year, the ESL program at Sacred Heart Seminary and School of Theology has been renamed as the “English and Culture Studies” (ECS) program. Along with the Accent Modification program and Hispanic Studies, it falls under the umbrella of the Language and Leadership for Intercultural Ministry program. The ESL program has been in existence for over 30 years. The name change and expanded focus came from the fact that English is often not a second or even third language of those who study at SHSST, nor is English learning the sole purpose of the program. Furthermore, acclimation to American culture is a critical component of the program, addressing a growing need of the Catholic Church that simply cannot be taught in a standard English language class. If you are interested in learning more about English and Culture Studies (formerly ESL) or Accent Modification, please contact Kelly Kornacki at kkornacki@shsst.edu. If you are interested in Hispanic Studies, please contact Fr. Jim Walters, SCJ, at jwalters@shsst.edu. Click here to read more about the program on the province website, and click here to access an FAQ sheet that details all of the Language and Leadership for Intercultural Ministry programs. The FAQ sheet is also available from a link at the bottom of the website article. Fr. Joseph Mukuna, a Congolese SCJ doing graduate studies at Loyola in Chicago, led a Lenten retreat over the weekend. After, participants visited the Sacred Heart Novitiate. They are pictured in front of the novitiate house.